Being portable is one thing, being mobile is something different. 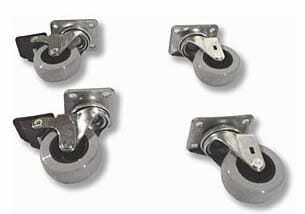 Here we have introduced a set of castors which may be used in conjunction with our twinbase plate. 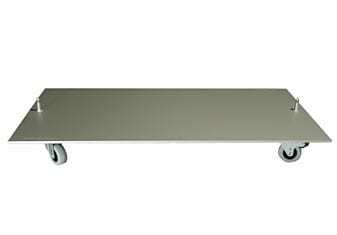 This enables you to wheel the display wherever you need it. It is useful for easy partitioning with high impact graphics but we have also seen it used by in-store restaurants who want the display to be prominent during meal times and out of the way at other times. A simple idea but it works well. The wheels are available to fit any of the FLEX-display baseplates.